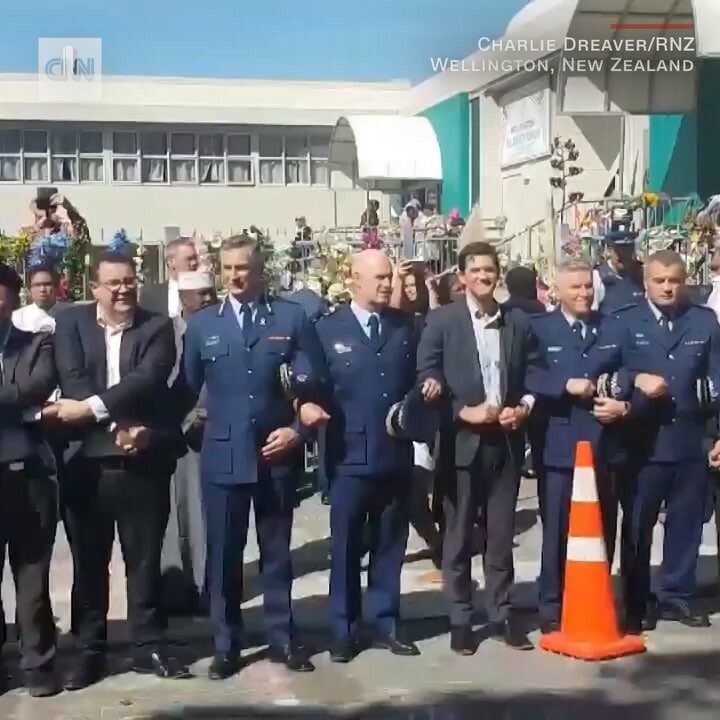 One week after Christchurch shootings, hundreds of people gathered outside a mosque in Wellington, New Zealand, and locked arms to form a massive human chain, in a symbolic act of protection of the Muslim community during Friday prayer. The move came as New Zealanders mourn the 50 victims of mass shootings at two Christchurch mosques on March 15, in a national day of reflection to mark a week since the terror attack. Witnesses said people of all races, ages and social classes linked arms during the call to prayer at the Wellington Islamic Community — known locally as the Kilbirnie Mosque.